Another ABLLS-R aligned resource. It includes 32 vocabulary. There includes visuals with real pictures to make velcro tasks to use as independent work or for teaching body parts. Included is a data tracking sheet organized by each page so it is easy to collect and monitor data. 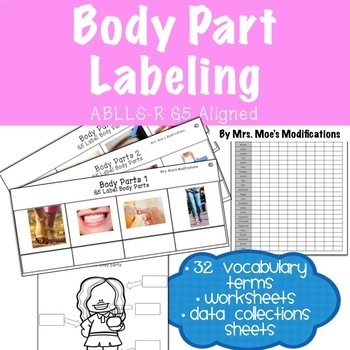 There also includes a labeling worksheet using clipart and a sorting activity for body parts vs. not body parts. 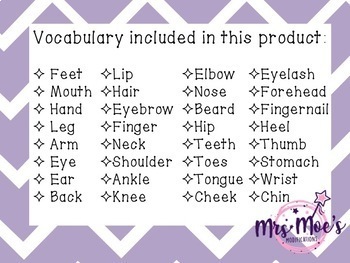 For use with students with autism, developmental delays, language acquisition, early learners, English Language Learners, speech delays as well as many other uses. This is a compressed file, so please be sure you have the appropriate software before purchasing.